The fees for registering a Community trademark (CTM) were reduced on May 1. A US appeals court has dealt a blow to Google’s controversial AdWords system by overturning an earlier dismissal of a trademark infringement lawsuit brought against the search engine by computer breakdown support company Rescuecom Corp.
China’s Supreme People’s Court has issued a set of guidelines with which to interpret the country’s notoriously complex National IP Strategy. A specialist IP court has handed luxury goods manufacturer Hermès International the highest amount of damages ever awarded in a trademark infringement case in Taiwan. Mark owners seeking a preliminary injunction must file their request with a local bailiff’s court while full infringement proceedings should be filed with the Maritime and Commercial Court – a specialized court. 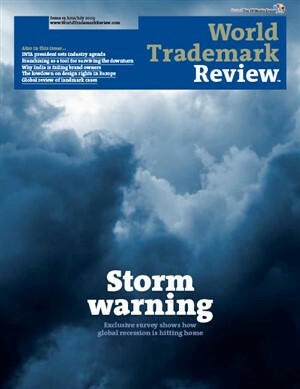 The issue of how best to protect trademark rights in China is one faced by many multinational companies. This article aims to provide some tips on successful enforcement in China. Before the entry into force of the Trademarks Act in 2001, trademark owners struggled to enforce their rights before the courts. Further amendments were introduced by Act 19/2006, which implemented the IP Rights Enforcement Directive. EU legislation provides a number of means by which IP rights may be enforced. In addition, various proposals and initiatives are pending in relation to criminal sanctions and the fight against counterfeiting and piracy. Trademark rights can be enforced in Canada on the basis of both registered and unregistered rights, under the federal statute and the common law tort of passing off. Remedies include interlocutory injunctive relief, but proving irreparable harm often presents a tremendous challenge. Italian statutory law provides all the tools necessary for the effective enforcement of trademark rights. This is further enhanced by the existence of specialized IP sections within the courts. However, some peculiarities of the Italian system mean that the courts are swamped by cases challenging the validity of registered trademarks. Trademark owners have several means of enforcing their rights in Benelux. In addition, the scope and effectiveness of enforcement actions have increased since the implementation of the IP Rights Enforcement Directive. Enforcing trademark rights in Israel can be done through the usual channels of the courts, the police and Customs. Filing petitions before the registrar of trademarks, particularly in cases of conflicting applications, should also be considered. When it comes to enforcing their rights in the United States, mark owners can choose between a vast array of tools, including arbitration, litigation and anti-counterfeiting actions. In Mexico trademark rights are enforced mainly through the Trademark Office. The enforcement of famous and notorious marks is governed by specific rules.